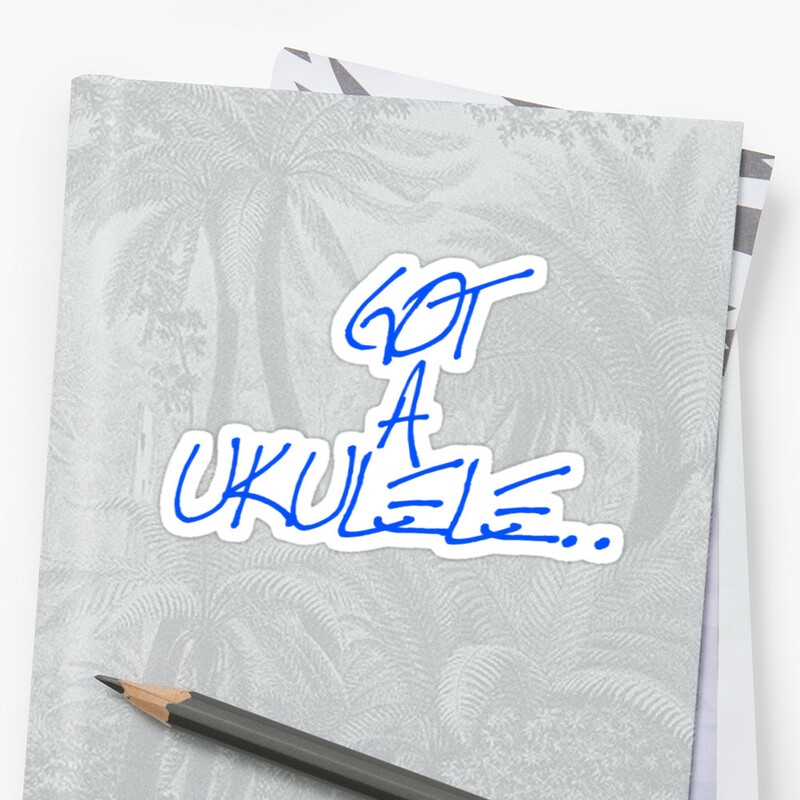 Another new brand to the Got A Ukulele reviews bench. This time from a Chinese brand called Amumu and their all solid acacia concert ukulele. Also known as the AM-ASAC-C. This one was sent to me for a ukulele review by Amumu / their parent company Eaglevox and has been with me for quite a few weeks now. I must also say, this was one of those ukes that I gave a little smile at when I first opened the case, as you will see. It's a standard double bout shaped ukulele made from all solid acacia wood. It's a classy looking shape with a fairly fat base and a diminutive profile. 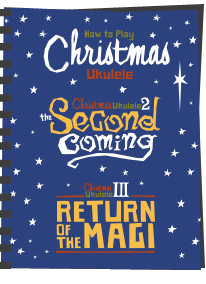 It's very reminiscent of the very earliest ukuleles from the islands. It's a look I like as it stands it apart from so many others that seem to be made to a template. Different enough to catch my eye I guess. In their main product description they refrain from using the word 'koa' in the title, and full marks for that. Sadly I am seeing that 'K' word in some of the more detailed product description. Just to be clear - acacia wood and koa wood are essentially the same tree, and whilst you would think that therefore makes no difference, I think it does to the buyer. The name 'Koa' is used for acacia that is grown on Hawaii, and nowhere else. It might be the same, it might be acacia Koa, but if I see the word 'koa' I want to know it's Hawaiian. I mean, Blackwood is also Acacia, but you don't see that being labelled as 'koa' (or maybe you do..). I strongly suspect that the wood on this ukulele is NOT from Hawaii (as evident from the price alone), and therefore I think the term is used wrongly here. Why not just stick with acacia? Regular readers will know that I strongly dislike the use of misleading product descriptions.. I just want to know what it actually is!! Anyway, acacia it is (and there is nothing wrong with that! ), very clearly with it's trademark stripe and flamy looks. It's actually quite nice wood throughout, with the top and back both bookmatched nicely. The stripe is very pretty and moving it under certain light shows some real glow and flame features in the wood. It's not ultra curly acacia, usually the preserve of much higher end instruments, but it's still rather pretty regardless. The body is finished in a kind of semi gloss that is closer to full gloss than satin, but still not a mirror finish. I suspect a mirror coat would have really brought out the stripe more fully, but I do still like these finishes as they still feel and look like wood. As such you can see some of the wood pores and grain through the coating. It's just not a mirror. It's also applied well all over and I can see no bubbles, drips or pooling of gloss. There is also added decoration on the top in the form of inlaid herringbone marquestry / purfling in the top edge binding and around the sound hole. It's very nicely done and it's always nice to see actual wooden inlays rather than transfers or the plainer, parts bucket 'black white black' stripes. On the top, this purfling compliments a strip of darker wood edge binding that extends into the sides. It's possibly rosewood, but I can't honestly tell and it's not specified. The joint with the back and sides is not bound at all, but then I never really see the point of back binding. The stripe on the two piece sides nicely matches at the base, and the two piece back is very slightly arched to help with projection. The bridge saddle on this one is made of rosewood and is a tie bar affair. It's nicely shaped and tapered at the ends making it that bit different, although is coated with the same body gloss which is never something I personally like to see. I just think it looks odd myself and would prefer to see natural wood here. The bridge saddle itself is uncompensated and nicely shaped with tapers to match the ends of the bridge mounting. At the time of originally writing this review the product was listed as having an ivory saddle. That would be a big no no and I called them out on it. I am pleased to say they have corrected that as it was a translation error. The saddle is made from bone! A look inside shows a tidy build with notched kerfing and delicately shaped bracing. It's all very tidy, with no glue spots and shows the makers label. More generally a couple of other things struck me about this one. First of all, the body depth is extremely narrow. 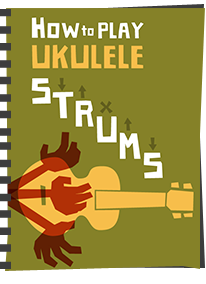 I wouldn't say it was in the realms of a 'travel' ukulele like the Kala, but it is far narrower top to back than most concerts you will find. Such a shallow body depth can have the effect of dropping the volume and projection of an instrument quite markedly. Added to that, a look at the edge of the sound hole shows me that the woods (certainly those on the top at least) are on the thick side. That together with a narrow body is not a combination that particularly thrilled me to be honest. We will come back to that when I talk about the sound. Up to the neck, and this is specified as being made of acacia also. It's certainly stripy and also finished in the same semi gloss. It is also nice to see that it's made from a single piece of wood with no joints, so perhaps another step up in quality here. Incidentally, that semi gloss never feels sticky in the hands and it's very comfortable to move your fretting around. The neck is topped with a rosewood fingerboard which is nice and dark and even in colour. The edges are not bound so you will see the fret ends, but the edges of the fingerboard itself are nicely rolled / sanded back giving a really comfortable smooth edge when in the hands. I like freboard edges like that and you really only tend to see them on much higher end ukuleles. Talking of frets, we have a fairly standard 17 in total with 14 to the body joint and they are all dressed well with no sharp edges. We have inlaid pearloid dot markers on the face of the fingerboard at the 3rd, 5th, 7th, 10th and 12th spaces, but sadly these are not repeated on the side. The 10th also has a double spot but I don't understand why as this is usually reserved for the 12th to signify the octave. The width of the nut is a fairly standard Chinese 35mm, but the profile in terms of depth is very flat and narrow, giving you the impression that there is more room than there is. That together with the shaped fingerboard edges makes for a nice combination. It's really comfortable. Moving past the bone nut we have a generic three pointed crown headstock faced with more acacia to match the top. It's otherwise plain, apart from the Amumu logo which is inlaid in abalone. 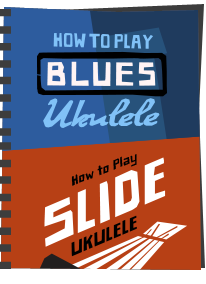 I don't much care for the logo as it looks a little too modern against the more traditional look of the rest of the ukulele, but I suppose I'd only be complaining if it was stark white or a transfer. Saying that, it's not applied straight either! Flipping it over we have unbranded open geared tuners with vintage shaped buttons. These intrigued me as they are a colour I have never seen before on a ukulele. Kind of a burnished bronze that I really think look great and like they are really old. They are also decent quality. Often you will see open gears like this where the mounting plates look like they are made out of cheap pressed tin. These are sturdy and substantial, yet not too heavy. The gear mechanisms look strong and well made too. No complaints here. Completing the deal you will get some Aquila brand strings, a decent quality Amumu branded zippered gig bag with pocket and strap, and an Amumu branded clip on tuner (not a bad one either - the included tuners are usually dreadful - this isn't - nice and clear to read). Confirming the price to you though is confusing me. First of all, I am only really seeing these currently for sale on Amazon. Originally I saw them on both Amazon in the US and in the UK, but at the time of writing I can only see them on Amazon in the US. Also, when this arrived, the price was listed at over $300 but the list price is actually $459, which is frankly insane and I would have torn it apart at that price. Now, they may be trying to build sales with a low price, and I have no gripe with that whatsoever. They may not be making any profit at the low price, and everybody needs to make a profit. Still, I just dont believe it's worth the higher prices myself. Back to more positives though. In the hands, the ukulele is really nice to hold. This one has had me in something of a dilemma actually. On the one hand it is far heavier in the hands than you would expect it to be, most likely on account of those thicker woods, (despite it being narrow), but something that I can't quite put my finger on really appeals to me about it. It's different, and if I am truthful with you, I have sat and played with this one in the music room far more than I have with many other instruments that are awaiting reviews at the moment. Yes it's on the heavy side, but it's still very nicely balanced in the hands, tactile and something about it makes me want to pick it up. Perhaps it's the fact that it IS narrow is what is appealling? It's just so easy to sling onto your lap on a sofa and have a play. I really like it. It makes me want to play it. The action will be acceptable to most at the nut and saddle. I'd probably take the saddle down a little for personaly preference, but thankfully there is plenty of saddle to work with, and it isn't affecting intonation. The nut is just fine as it is. Sound wise we have something of a double edged sword. My first impression was how the bright, sweet tone struck me in a very good way. This one has a lovely voice and it really kind of shimmers, with some pleasing sustain. Whether picked or strummed, each note really does shine through. It surprised me, as it sounds more akin to a koa ukulele than a far eastern acacia model, despite it being made from the latter. Often I have found with acacia ukuleles they can sound a bit disappointing or lifeless and dead, somewhat at odds with the striking woods and their Koa cousins. I don't know quite what it is with Hawaiian Koa, but it just always seems to have that extra shimmer to me. I am not comparing this Amumu to a Hawaiian koa ukulele, but the tone is certainly more reminiscent of that than of the cheaper solid acacias made in China. Hardly a litmus test, but I do recall my wife hearing this one for the first time. As you can imagine, she hears a LOT of ukuleles that come through my hands and rarely comments one way or the other. With this one though she immediately pointed out 'that sounds nice'. And it does. No question. But there is a downside. This one is certainly quiet. Very quiet in fact. That narrow body and the thicker woods are clearly affecting the volume and this is anything but a punchy ukulele. In fact playing it you find you really want it to give more when strummed, but despite using hard fingernails and really giving it some 'welly' (technical term from the UK...! ), it just isn't there. You can pull more punch out of it when fingerpicking, but it does require you to dig in a fair bit to do so. Yes, that is frustrating, yet still I keep picking it up and overlooking it. At risk of being pulled apart on this point, you would be quite right to point out that I have reviewed a couple of instruments recently and critisised them for being so quiet. The Kmise was one of them. I can't therefore avoid the low volume aspect of the Amumu. What I would say though is that instruments like the Kmise were also flawed in other departments, so volume was just the final nail in the coffin. In short, they had little else going for them. In other departments though the Amumu is on the right track. Sure there are some gripes, I would like side markersbut construction wise and tone wise it's very pleasing on the ear. As such I almost forgive it for the volume, and as I say, something about it has made me pick it up more than many others I have around me. So I would say, this is worth a look, but look into it with your eyes open. If you want great volume, and the ability to cut through at a club or jam night, this one isn't likely to be your bag. But if you want a sweet sounding, quiet practice instrument with a draw that is difficult to pin down you might want to take a look. It's very playable, nice sounding and also very well made. Oh, and as for that price.... For me, if you see these for at or around $200 - $300, I think that represents good value, and it's the price that I have scored it on below. At retail of over $400 i'd give it a wide berth. So go carefully on that front. Otherwise though - might be worth a look. CORRECTION - This review was edited on 29 January 2017. I orginally stated that the saddle was made of ivory as that is what their product descriptions had listed. That was (thankfully) a mistake in translation on their part that has been corrected. The saddle is actually made of bone. I am happy to correct the comment in the review. ivory products in the United Kingdom. Perhaps a call to Trading Standards is called for if you know of someone who is selling these in the UK I agree with you Baz, there is no place for ivory in musical instruments. Customers can show their repugnance at this practice by not buying this instrument. Barry, don't know if we are Facebook buddies, but I'm a GFS mmember and your reviews are invaluable. 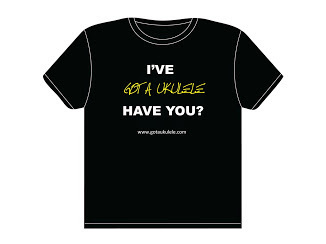 I live in Seville, Spain, where there are a few big guitar stores but few upper-market ukes. I want a Concert model and in the shops here have tried a Convert Gretch, which I quite like 167 euros. The Kalas and Lanikai are cheaper, but have a pickup on the side - which I won't use. It might be interesting to note that currently the price is even lower, at $139.00. Oops. My mistake. I was looking at the soprano. Thank you Barry! 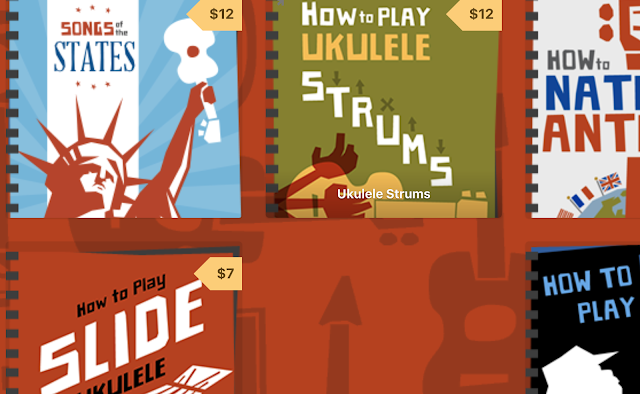 It seems another ukulele company comes out at least once a month. 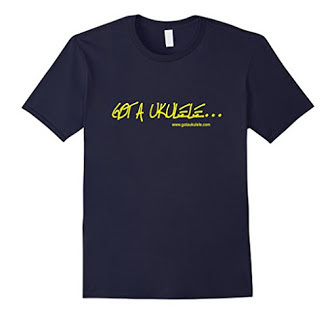 Good for consumers, bad for uke builders. It does tighten things up a bit! The use of ivory is unforgivable. Certainly a deal breaker, according to what I've read, buying it could get one arrested in the US. As well it should! As I understand it - from Bargain Hunt - the only way this could be legally sold in the UK is if the ivory is antique and unmodified, so if it was originally a ukulele nut it's legal. Otherwise, they have a problem. VERY PLEASED to note that the review has been edited as Amumu have confirmed that the word 'ivory' was an error in translation. The material in the saddle is actually bone.